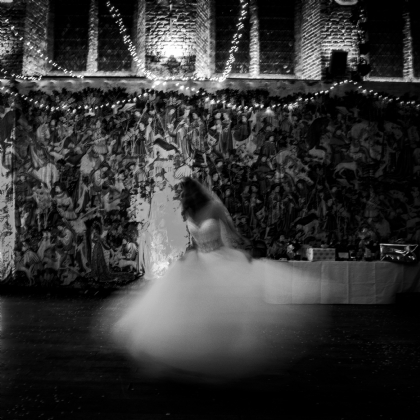 In December i had the privilege to photograph max and rachel’s wedding at the old palace at hatfield house - What must be on of the finest wedding reception venue’s in the whole of hertfordshire. The old palace contains the Banqueting Hall built around 1485, with most of its original roof timbers. Many of them are peppered with gunshot, apparently because sparrows flew in and were shot at when the building was later used as stables! Henry VIII acquired the Palace from the Bishop of Ely in 1538 and used it as a nursery for his three children. It is with Elizabeth that the Palace is most closely associated. In 1558 Elizabeth was sitting under an oak tree in the Park when she learnt of her succession to the throne. One of her first acts was to call her trusted advisers, including William Cecil, later Lord Burghley, together for her first Council of State which was held in the Banqueting Hall of the Palace.